There's a new episode out of the Chariot TechCast, this time the topic of discussion is Magnolia CMS and the Blossom spring integration module. Listen in as Boris Kraft, CTO of Magnolia and myself talk with Ken Rimple about the history of Magnolia, the revamped user interface in version 5 and of course in depth about how the Blossom module works! 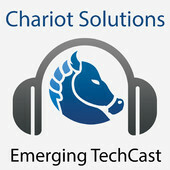 The podcast is available on iTunes and as a direct download on the Chariot TechCast site. For iPhone there's a great podcasts app from Apple, that I discovered only recently. It lets you subscribe to podcasts and can download new episodes automatically when on WiFi as they become available. Check it out and subscribe to Chariot's podcasts, lots of interesting stuff in these for Spring developers.